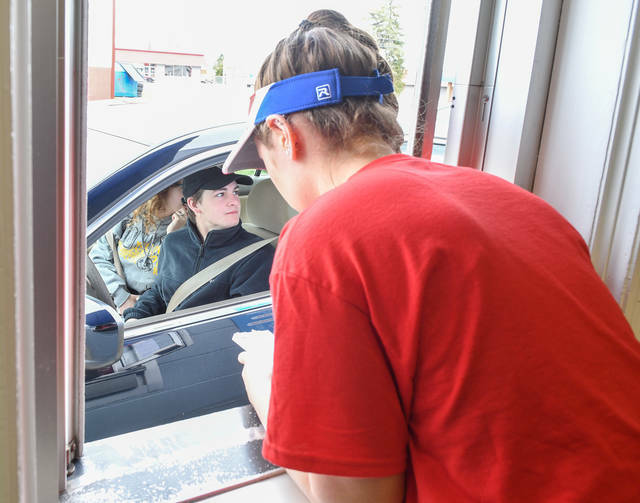 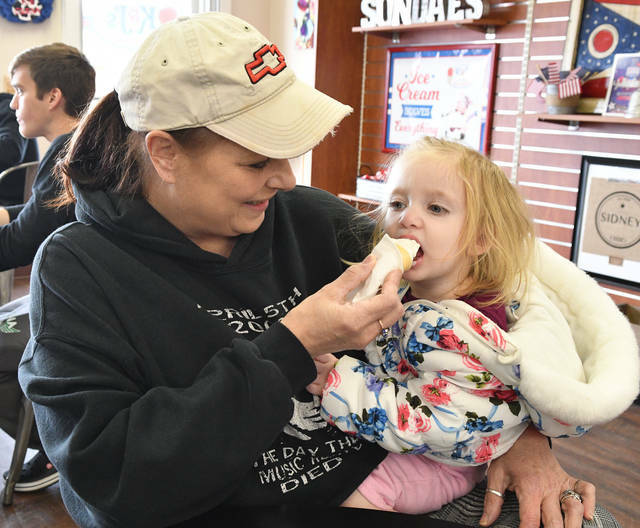 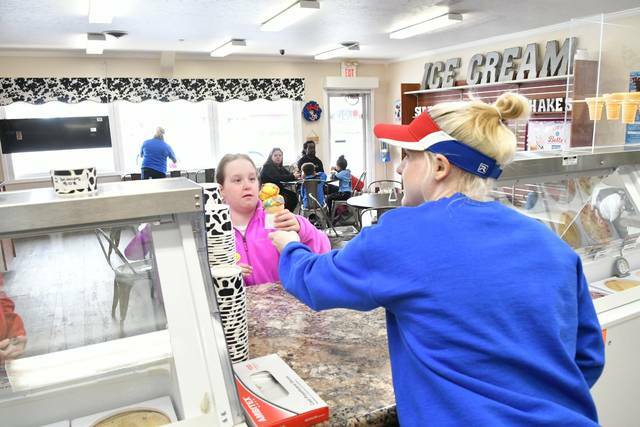 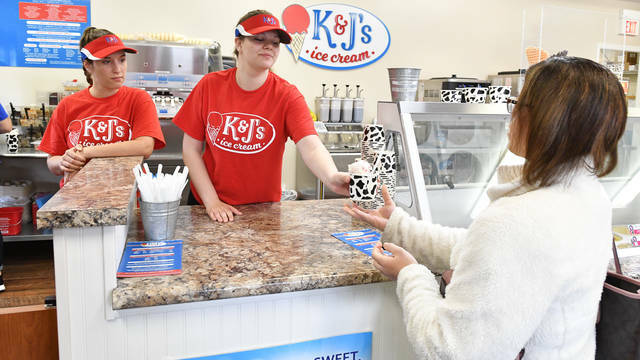 Hannah Fitzpatrick, left, watches as Aleyce Cunningham, both of Sidney, scoops out a serving of “Exhausted Parent” ice cream during the grand opening of K&J’s Ice Cream on Saturday in Sidney. 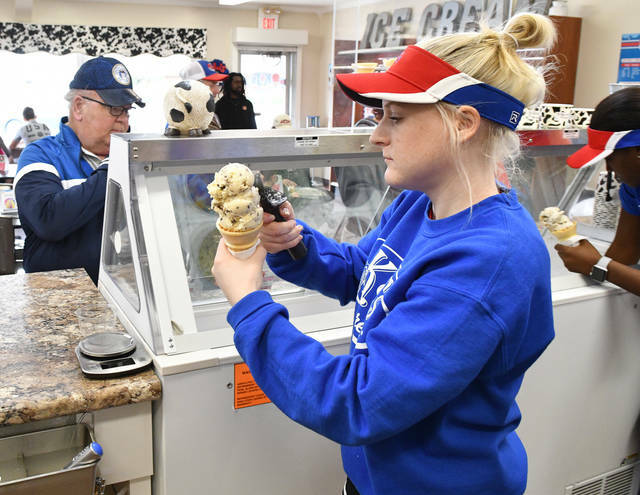 The new ice cream shop, which is located at 130 W. Russell Road, opened for the first time on Saturday. 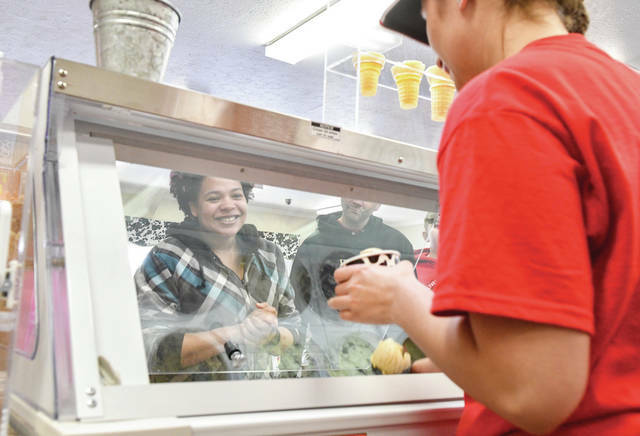 The store is open from 11 a.m. to 9 p.m. Monday through Saturday and from 1 to 9 p.m. on Sunday. 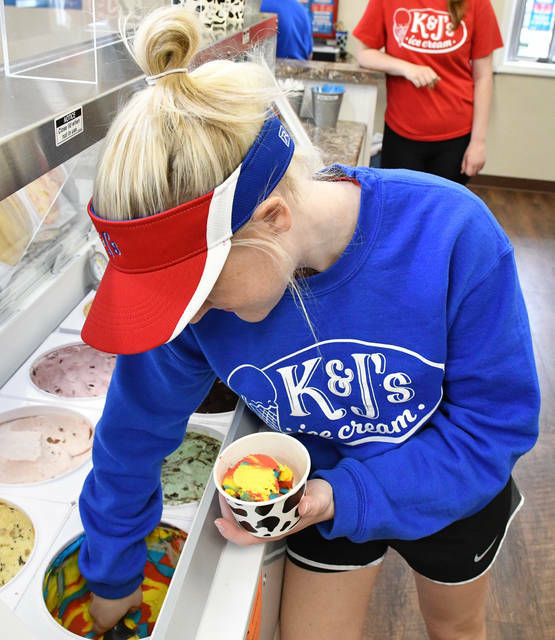 The store carries over 20 hand-dipped flavors and also has soft serve.